Explode your social life a Mingle Party in the heart of Manchester. If you are looking at an empty diary this valentines weekend and wondering what activities in Manchester will lead you to meet new people. You have come to the right place. Our Mingle parties are legendary. 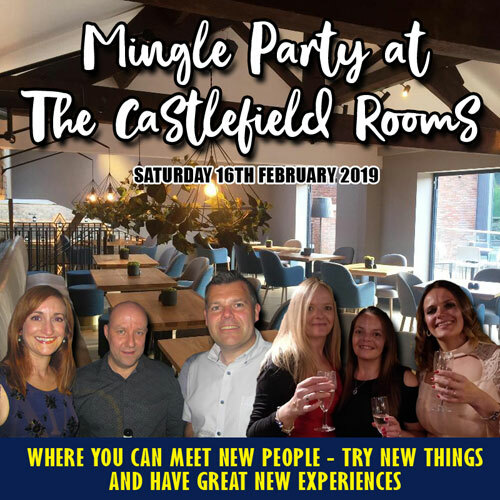 Because it is THE ultimate event for anyone wishing to meet new people in Manchester and have great fun in the process. No Forced Conversations. No Expectations. Just a party for people who want to let their hair down and expand their Social Circle at the same time. We know great times lead to great friendships. Having a fulfilling social life can increase your sense of wellbeing and happiness, regardless of your relationship status. Of course, when you are surrounded by good, supportive friends, and living a life you love with meaningful hobbies and interests, you are more likely to find that special someone. Take your first step towards an exciting and rewarding social life. 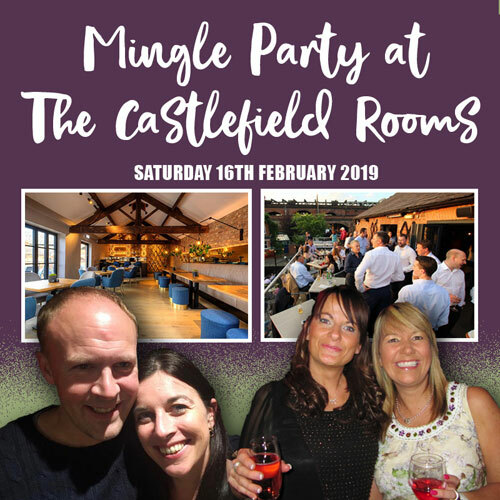 Regardless of whether you are an existing member, or are just coming along to dip your toes in sociable waters, we guarantee you a fantastic night of mingling in one of Manchester’s hottest venues. You will be swapping numbers with fabulous new friends before the night is out. You want to meet new people in Manchester. Right? This is the perfect opportunity to those who want to mingle with as many people as possible. If the idea of walking into a room full of people makes you feel a little queasy. Don’t worry! We know what nerves do to people. Don’t want to walk into a room alone? We will happily come and meet you at the station or outside. Frightened of attempting to talk to someone? Our professional hosts will be working the room to help you relax, answer any questions and are useful target practice for successful small talk. As our hosts know all our members, they will introduce you to people with similar interests so you will be soon be chatting and laughing until the early hours. Imagine sipping a cocktail or a craft ale with new friends from oak beamed balcony overlooking the Deansgate locks and canals. The Castlefield Rooms is described as Manchester’s ultimate urban party venue with 4* reviews on Facebook for its classic cocktails, craft beers and award-winning cuisine. Social Circle has the exclusive use of its gallery with stunning views of the city centre and surrounding canals. Meaning you can party hard (or not!) in a stunning and sought-after venue. Best of all, this venue is nestled right in the City Centre, and a stone’s throw from Rail, Bus and Metrolink stations meaning it is safe and easy to get home again. Don't worry, we've taken care of that for you, too. This is a night where we just want to get together and enjoy a great evening so this event is on us. It is absolutely FREE WITH NO ENTRY CHARGE! So all you really need is to dress up and turn up. Book now to secure your place at this exclusive event! Already 50 places booked, don't loose out and book now.